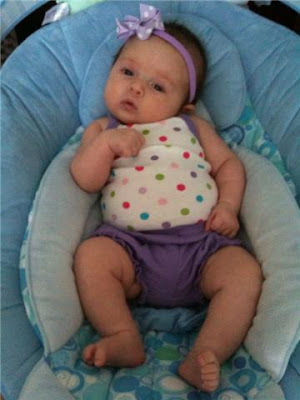 Life with the Lashers: Bella is 2-months-old TODAY! Sleeping Pattern: Technically Bella is sleeping through the night and averages 4-5 hour stretches of sleep. Eating Pattern: Bella eats 4-5 ounces of formula every 3-4 hours. Friends: Bella and I have been going to a play group and meeting lots of other moms and babies. Current Events: Oil is STILL spewing into the Gulf of Mexico, the beginning of hurricane season. Happy 2-Month Birthday, Isabella Eve!